When disasters (geo-political or otherwise) happen, people often say, "How could anyone have known?" It is the ultimate defense mechanism of the uninformed to believe their lives are governed by fates for which no one could prepare. Well, here is a news flash on the upcoming Cascadia MegaThrust Quake : The geologists in Oregon and Washington are telling you RIGHT NOW that we are in danger of tremendous death, damage, and upheaval in the Pacific Northwest and they have been telling us this for a number of years now. There are no community meetings that discuss the effects a "Mega-quake" will have upon this community. There are no "Tsunami Warning" signs posted on our Waterfront areas. We are continuing to build and we are planning on greater development of our waterfront area (on previous landfill! ), despite the fact that the predictions for the wave size to hit Bellingham keep getting larger and larger. 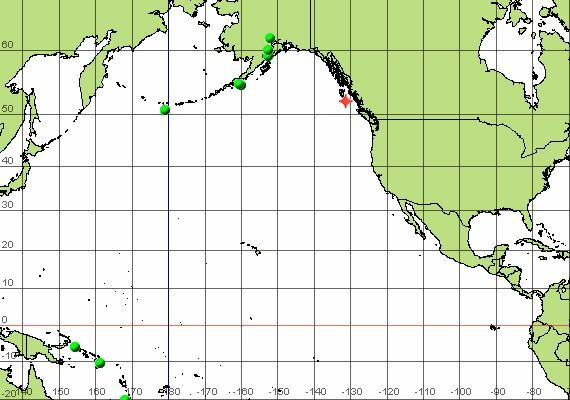 There is scarce awareness of the destructiveness and chaos a 9M Cascadia Subduction Zone event will have despite the fact that Bellingham is most populous city in Washington expected to be at risk for a Cascadia Subduction Zone Tsunami! I do not know what to do about this appalling lack of preparation. I have set my smart phone to alarm every time the West Coast and Alaska Warning Center sends me a message. Lately, I have been receiving a lot of Tsunami Information Statements from Alaska. This morning I received one from British Columbia. 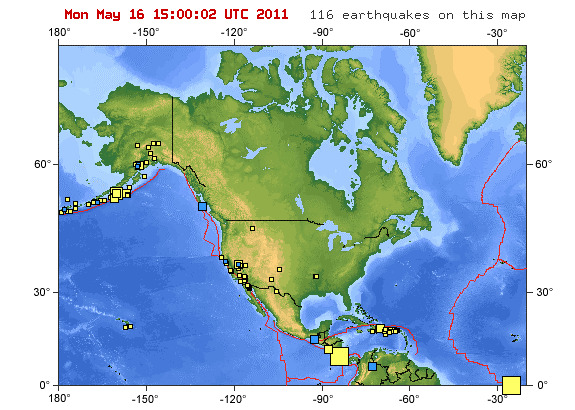 I think the debate is whether or not we are finished with the 8M or greater cluster (Sumatra, Chile, Sendai). If not, we are the part of the earth to shake next. Amazingly, Oregon geologists have rallied their communities and they are holding meetings. We are actually closer to the most dangerous part of the Cascadia Subduction Zone, but alas...no such meetings here in Whatcom County. "Chris Goldfinger, an Oregon State University marine geology professor, happened to be in Japan on March 11 and experienced the magnitude-9 quake, which cut short an earthquake conference he was attending. When legislators call for action without appropriating money for preparation, "It's shameful," said Gonzalez, characterizing the statement as his personal opinion. "I do not believe that any one municipal entity, county or state, or even the federal government is in a position to address the damage this catastrophe will bring us," Gonzalez said. "I'm not trying to scare you. I do believe that we need to wake people up." "
"YUMEI WANG: We know that this Cascadia earthquake is imminent, it's imminent in geologic time, so basically we're in a race against time and the more we can get done now the more lives we'll save. DAVID YAMAGUCHI: If we have ten years, is that enough? Probably not. If we have fifty years? Maybe, you know. If we have a century? You know maybe we'll really be ready. But do we have a century? We don't know. NARRATOR: The Indonesian earthquake has given the people of the Pacific Northwest a glimpse of what they will one day face. Now they must heed that warning. " from the BBC presentation "The Next Megaquake"